With the aim of wanting a spacious and entirely new look, the expert team at Copper Design Associates gave 37 Elite Park Avenue a major overhaul to suit needs and wants of the homeowners. The open concept of the bar counter and dining area is designed to flow nicely into the living area, setting the tone for intimate entertaining, giving the homeowners a versatile, people friendly place. 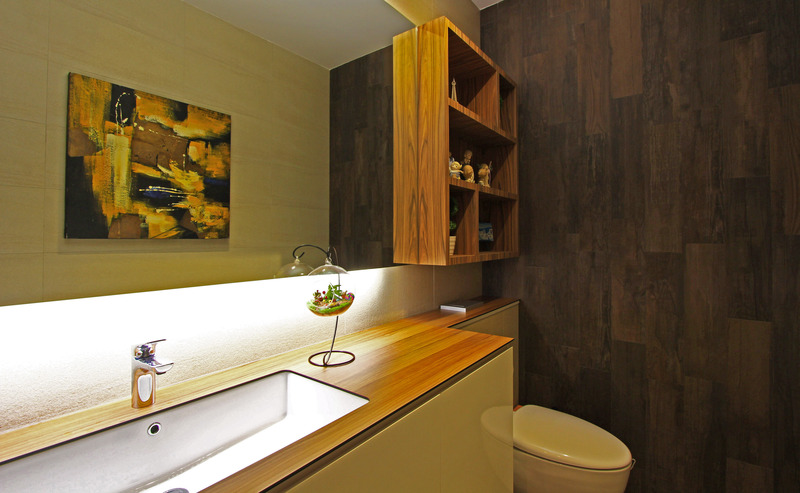 The clean layout exudes a warm and welcoming ambience. 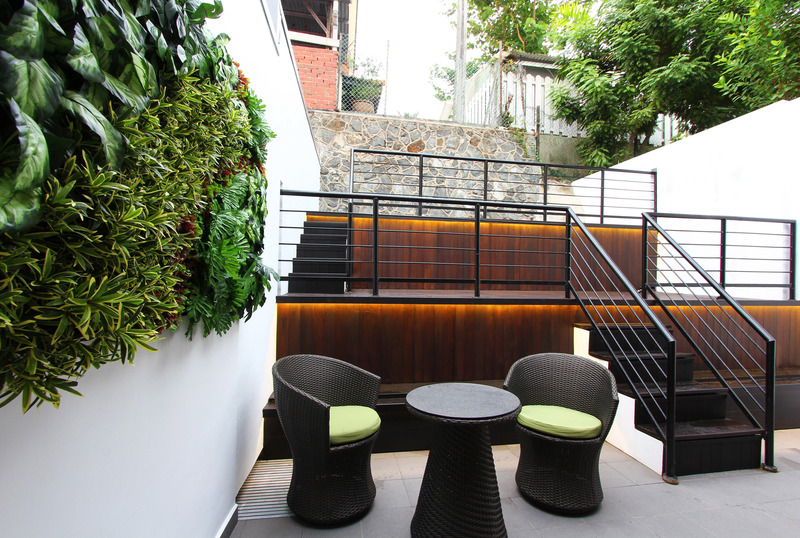 The balcony is designed to offer another cosy space for interaction and relaxing. With the perfect view and excellent ventilation, it is no surprise that this conversation space is a favourite spot for both the homeowners and the guests. Meant to serve as an outline of the furnishing, the wood timber used around the home injects a warm ambience into the space coupled together with the warm lights used. 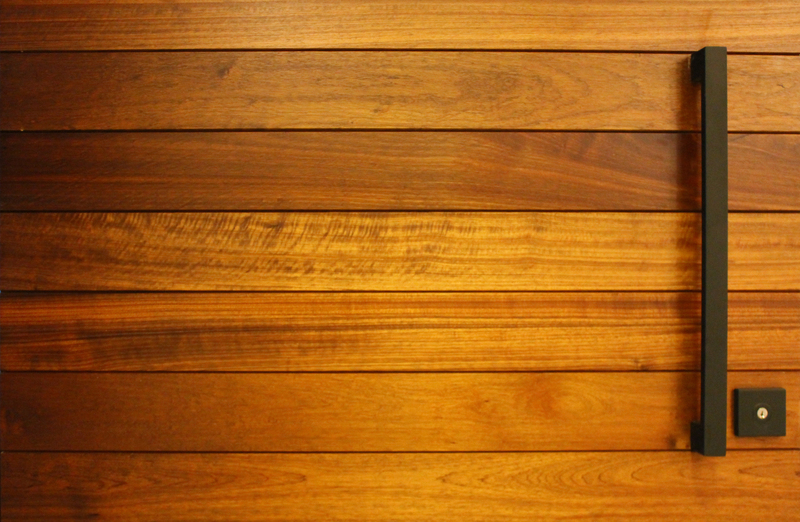 While the focus was to keep the tone of the wood consistent throughout the house, it was not always easy to have the same shade due to the different mediums of the materials. 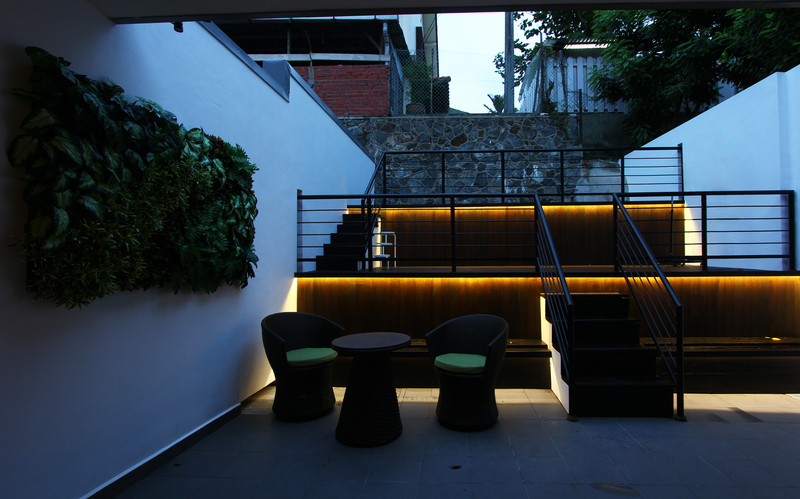 However, the experienced team of designers at Copper Design Associates know how to make it work. For the table top, they opted for kompacplus New York Teak as it is extremely durable and offers a great contrast from the white cabinets. 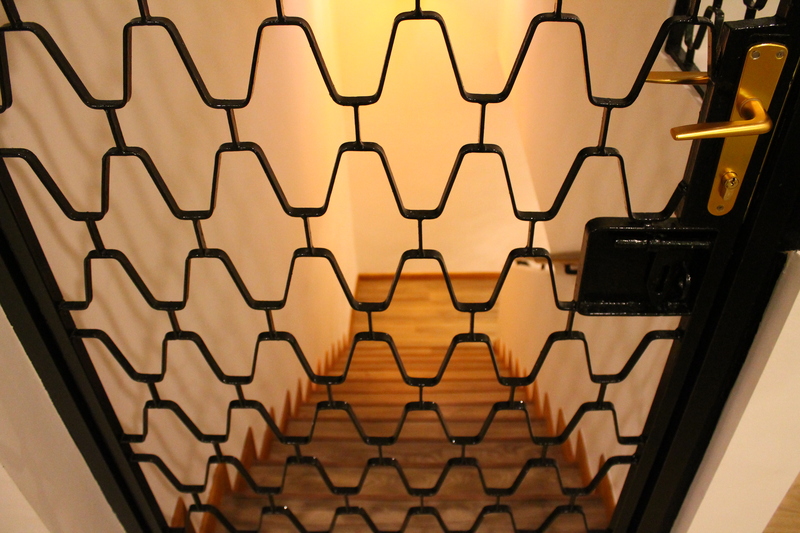 The designers also made use of simple patterns in seemingly innocuous areas of the house such as the partition walls and the gate. 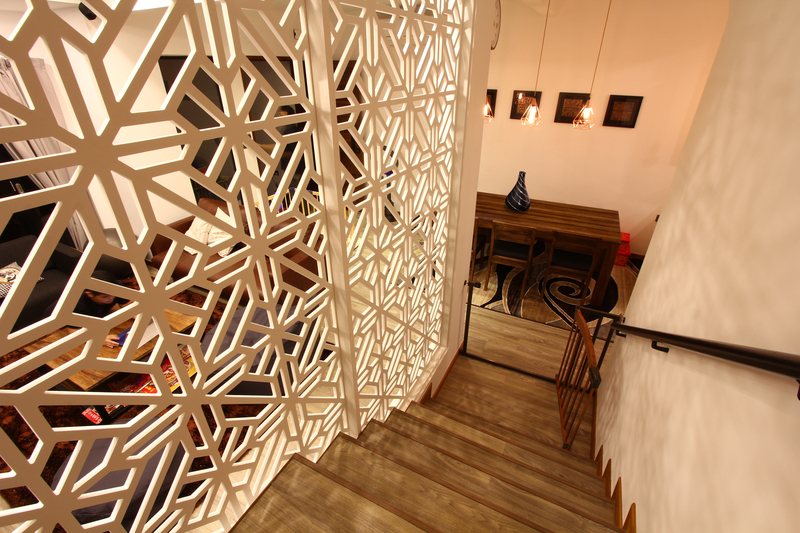 Wooden tiles were also placed in a way to make the place look more lively and interesting. Overall, the team of designers at Copper Design Associates used wooden accents as the main feature together with simple patterns around the house in creating a new look for the house.